Oil was the underlying basis for events. 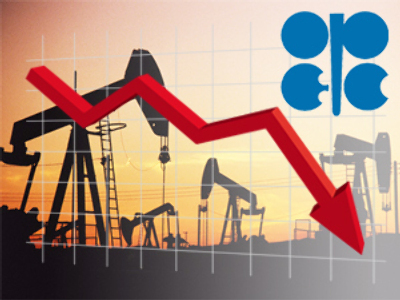 No sooner had the world learned of OPEC’s record production cut than, than the markets not just thumbed their noses at the oil producing cartel, but gave every indication of having enjoyed the experience. With the last day of the January contract in play tomorrow Nymex light sweet was hanging on for dear life just over $37 BBL with the WTI spot price barely above that and only Brent clinging above $40. With all this meaning that the next landmark for Urals could well be the $30 barrel, Lukoil (down 4.9%), Surgutneftegas (down 9.02%), Gazprom-Neft (down 7%), Rosneft (down 7.7%) were, unsurprisingly, not fragrance of the day. Smaller gas plays Ritek (down 1.84%) and Novatek (down 2.64%) got away a lot more lightly, while Gazprom (down 5.46%) investors factored in the possibility that the latest spat with Ukraine could result in the latter buying a tanker load of crude at bargain basement prices. Commodities provided little respite from the pressure with silver and most base metals lower on a firming U.S. dollar and gold easing after a strong rally on profit taking. That saw Norilsk Nickel (down 4.01%) lower, with Polyus Gold (down 8.27%) taking an outsize hit, while Polymetal (up 0.53 %) chalked up one of the days few gains. Severstal (down 8.93%), MMK (down 2.69%), NLMK (down 4.92%) made it a day to forget for steelmaking fans, while coalminer Raspadskaya (down 3.88%), fared no better, leaving Uralkali (up 0.28%) to move in the direction investors like. The latest round of Rouble broadband widening and gloomy economic prognoses did nothing for financials with VTB (down 4.53%), Sberbank (down 3.71%), Bank Moskvy (down 1.93%), Rosbank (down 0.94%), all lower, while Bank Vozrozhdenie (up 2.70%) somehow conjured a rise. In the retail and consumer goods sector Sedmoi Kontinent (down 0.57%), Dixy (down 1.36%), and Magnit (down 0.12%) kept things orderly, if negative amongst the retailers, while retail chemist, Pharmacy 36.6 (down 20.0%) didn’t. Elsewhere Lebedyansky (down 0.01%), Wimm Bill Dann (down 0.67%), Kalina (down 3.12%), and Razgulay (down 3.65%) all moved lower. In the world of telecoms, CenterTelecom (up 1.30%) posted the days sole gain, leaving Volga Telecom (down 1.65%), Uralsvyazinform (down 2.18%), Dalsvyaz (down 2.18%), Southern Telecom (down 2.02%), and Rostelecom (down 1.03%) to keep things fairly sedate while MTS (down 8.3%) wore something more substantial. Carmakers, Sollers (down 5.71%), Avtovaz (down 1.45%), and Kamaz (down 4.23%) did nothing to inspire joy, and were joined by property developers PIK Group (down 6.53%) and LSR Group (down 5.34%).